Do you know why many hydras are BIG and THICK? It's kinda weird there are no Polish HoMM3 comics on e621. It's also very popular here. 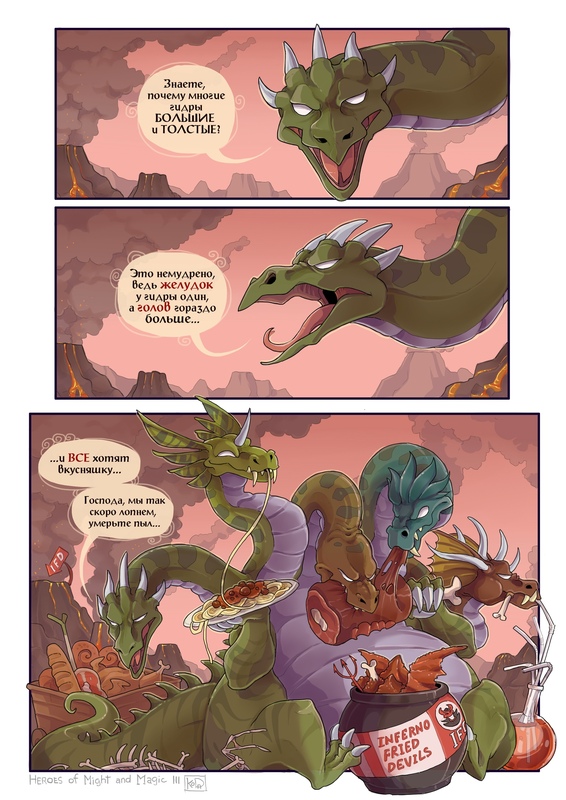 Every time I see these dragon comics I desperately wish I could read Russian.